Green building is now a mainstay. Recognizing the benefits of building green are schools, healthcare facilities, businesses, public facilities. Governmental entities are passing laws mandating the future green construction of private and public buildings. Contributing to green building in two important ways are carpet, carpet pads and carpet adhesives. These help reduce volatile organic compounds (VOCs) and emissions, and contribute to the growing use of recycled content for building materials. It is important to do everything possible to maintain the quality of indoor air, especially for new construction and renovation, since people spend about 90% of their time indoors. The first in the flooring industry to study their products for indoor air quality effects in schools and commercial settings was the carpet manufacturers. 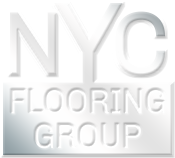 Evaluated was carpet's role in the indoor environment what resulted was the Green Label and the Green Label Plus programs. These programs tested and certified low emissions from carpet, cushion and adhesives. Today, indoor air quality (IAQ) is an important environmental consideration, especially since we spend approximately 90 percent of our time indoors. In 1992, CRI launched its Green Label program to test carpet, cushions and adhesives to help specifiers identify products with very low emissions of VOCs. CRI has recently launched its next series of improvements called Green Label Plus for carpet and adhesives. This enhanced program sets an even higher standard for IAQ and ensures that customers are purchasing the very lowest emitting products on the market. Using scientifically established standards, the Green Label Plus program symbolizes the carpet industry’s commitment to a better environment for living, working, learning and healing. • Green Label and Green Label Plus ensure that customers are purchasing among the lowest emitting carpet, adhesive and cushion products on the market. • CRI designed the Green Label and Green Label Plus programs for architects, builders, specifiers and facility mangers who want assurances that carpet and adhesive products meet the most stringent criteria for low chemical emissions. • Green Label Plus represents the fourth time the carpet industry has voluntarily enhanced the IAQ standard for its products. Green Label Plus is an example of CRI's leadership in the best practices of environmental responsibility. Look for the CRI Green Label Plus logo as proof that the product has been tested and certified by an independent laboratory and has met stringent criteria for low emissions. Air Quality Sciences, an independent laboratory, tests carpet and adhesive samples using the most up-to-date, dynamic environmental chamber technology. The test methodology was developed in cooperation with the U.S. EPA and has been adopted by the American Society for Testing and Materials (ASTM) as D5116 - Standard Guide for Small-Scale Environmental Chamber Determinations of Organic Emissions from Indoor Materials/Products. The amount of old carpet that ends up in landfills each year is a concern of the carpet industry. Carpet manufacturers are recycling old carpet materials back into production, recycling old carpet into alternative uses such as building materials, auto parts, refurbishing old carpet into new carpet tiles, reclaiming old carpet so it can be reused or recycled. Through the Carpet America Recovery Effort (CARE), carpet companies, government agencies and product suppliers are developing market-based solutions for recycling and using post-consumer carpet. -Recovered for use in other products are fiber and yarn that cannot be reused in manufacturing. -Rugs and mats are cut from excess carpet and sold for other uses. -Waste carpet trimmings, backing, yarn are sold to recycling plants to be processed into carpet cushion, furniture battings and cushions, reinforcing filler for concrete, fence posts, road underlay, plastic lumber, automotive parts. -Polyethylene packaging which is used to wrap carpet yarn spools and other raw materials is recycled into plastic pellets, sold to extruders of film, plastic wrap and plastic trash bags, or it is used in molded items. -Cardboard, paper, aluminum, wooden pallets, yarn cones, roll cores, liquid containers, raw material packaging, scrap metal, which are other materials used in the manufacturing process, are reused or recycled. The tasks of collecting, sorting and transporting used carpet is being addressed by carpet and fiber companies as well as individual entrepreneurs. In place by several companies are collection sites and the developing means to separate carpet components and recover polymers. The industry is working towards recycling fiber back into fiber and turning Nylon 6 into new fiber. Refurbishing used carpet modules are being done by some companies. Billions of polyethylene terephthalate (PET) plastic beverage bottles are currently being used each year to make polyester carpet fibers. Addressing the challenges of post-consumer recycling, CRI has a committee of member representatives rallying industry expertise and resources. Included in the committee's work is the developing of an identification system of carpet materials to make the sorting of fiber and backing compounds easier and more efficient in the future. Many CRI member companies as well as many entrepreneurs around the country are currently using this identification system, called the Carpet Component Identification Code (CCIC).